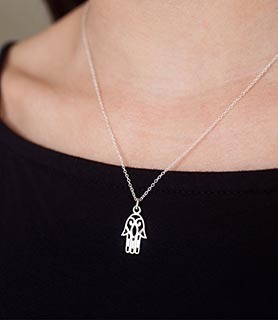 Enjoy the calm of beautifully handcrafted ‘Hamsa’ sterling silver necklace handcrafted by master artisans in India. What can make it better? 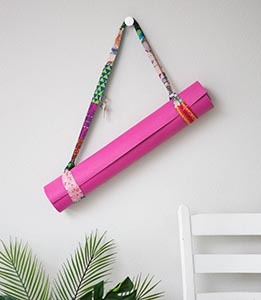 Well a hand embellished yoga mat strap with vibrant and happy colors from the yogic land. Find these products on the Matr Boomie website. Enter every day December 16th – 20th to increase your chances to win! Matr Boomie is an ethical gift company working with artisans in India. Each product is elaborately designed in Austin and handcrafted in India using fair practices. Visit their website for more.